A seven percent (7%) decrease in the number of dengue cases and ninety percent (90%) decrease in the number of dengue deaths had been observed last year when compared with the previous year (2017), a Health Ministry spokesman said. 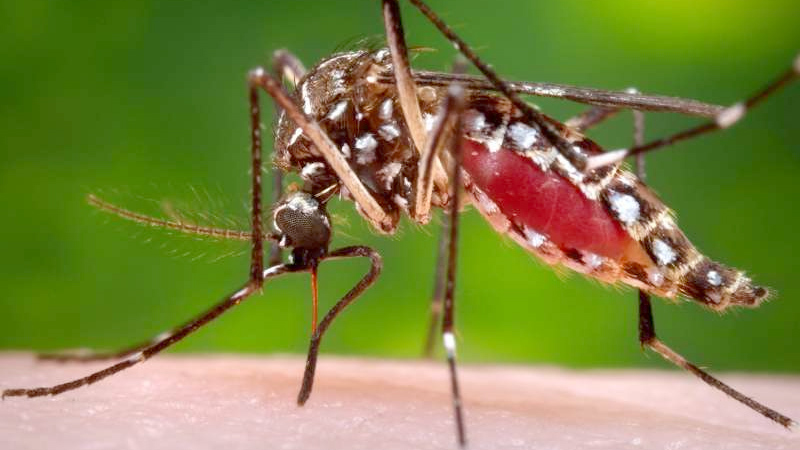 According to the spokesman, the studies conducted so far had revealed that around 30 percent of the total number of dengue patients are schoolchildren. “The prevalence of Dengue can go up again with the ongoing rains and therefore the public should be vigilant about all possible places where water collects and stagnates. Such places should be completely destroyed. Even a pen clip or a bottle top is adequate for dengue mosquitoes to breed,” the spokesman said. The Health Ministry implemented a successful islandwide campaign to control dengue providng the human resources including field assistants, well trained health professionals etc. Special programmes were launched with the Education Ministry and Megapolis and Western Development Ministry to curb dengue. A Special App was introduced for parents to get information on dengue. The Ministry requests the public to allocate at least 30 minutes per week to clean mosquito breeding sits. Meanwhile, Epidemiology Unit sources said that a total of 619 dengue cases had been reported from all parts of the country by February 8. The highest number of dengue cases (1,457) had been reported from the Colombo district and the second highest number of dengue cases,(1,053) from the Jaffna district.